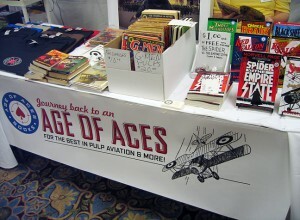 The Age of Aces team had a blast at PulpFest 2009 this past weekend! This was our first time at a pulp gathering as official dealers, and though it mostly tied us to our table I think it was actually more fun because it gave us the opportunity to interact with so many pulp fans and curious people from Columbus. This was also a rare chance to hang out with some of the contributors to our books, like Scott Cranford, Don Hutchison, Sid Bradd and Thomas Krabacher. 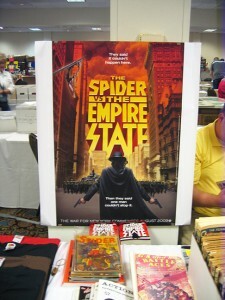 We sold our first copy of The Spider Vs. 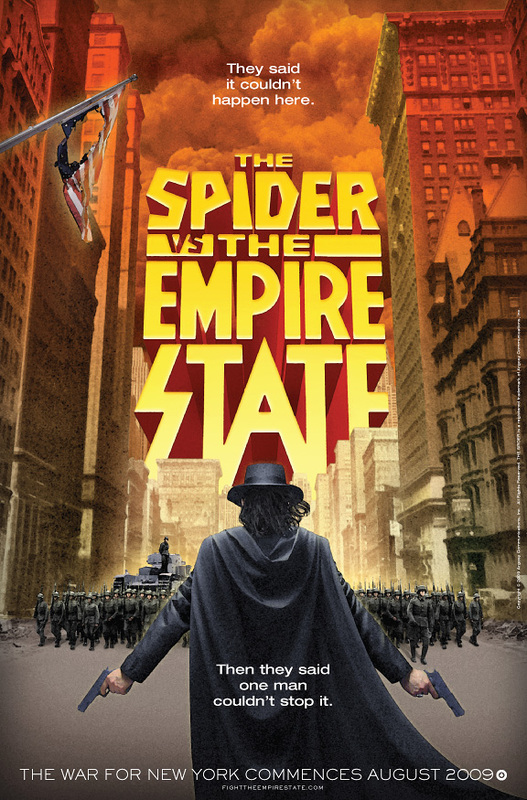 The Empire State during dealer setup on Thursday night, and this proved to be a good omen for sales. 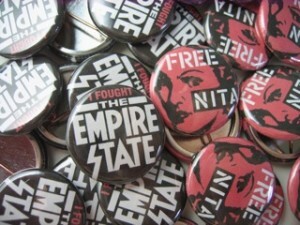 As I posted previously, we SOLD OUT of the title on Friday and could only take orders for it on Saturday and Sunday! (We also sent people to its Amazon listing, natch.) Some of these customers were not even Spider fans (initially), but had been drawn to our table by the Empire State flyers we had put outside the dealers’ room, or the large “movie poster” of the ad image behind our table. That was exciting. 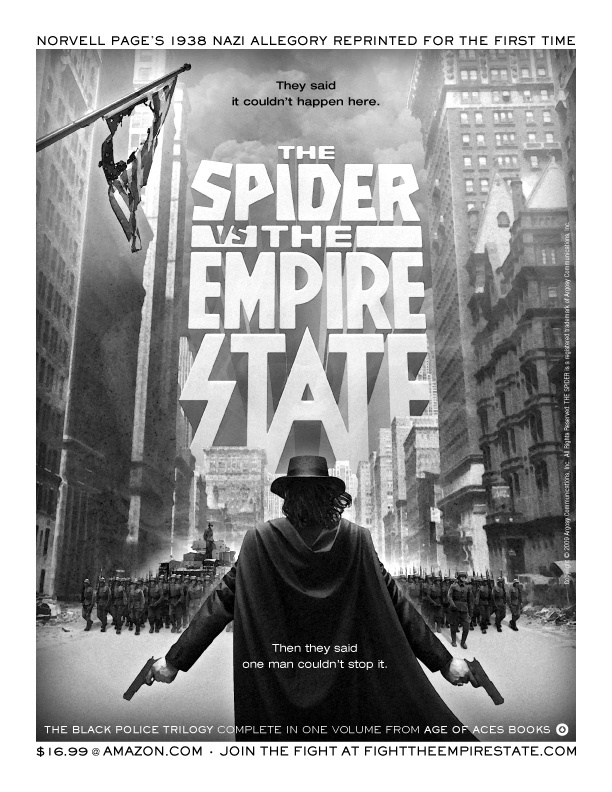 In fact, so many people asked us about the poster, that we put our one extra (nice, unused) copy into the Saturday night auction, where I (but not Bill or David) was surprised to see it fetch $100. The assembled crowd must have been stunned too, because there was much applause at the end of the heated bidding. I want to publicly thank everyone that bid — as well as Tom Krabacher, who provided the oversize prints — you really made my weekend! What’s so fun about these shows is meeting people that are just as passionate about this stuff as you are. Our aviation collections sold better than ever too, and much credit should be given to the PulpFest organizers who almost doubled attendance over last year’s PulpCon. Not only are we looking forward to next year’s show, I think we’ve all come away from the convention more excited about pulp publishing!